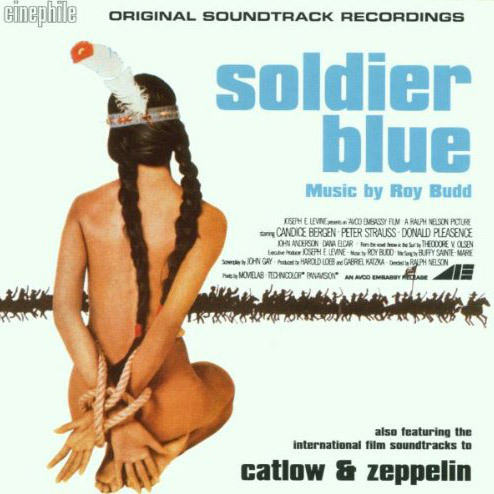 Roy Budd’s film score debut – soundtrack to the controversial 1970 western. The Soldier Blue soundtrack album is the fourth album in Silva Screen’s reissues of Roy Budd’s catalogue which features extensive digital remastering. Only a year after scoring Soldier Blue, Roy Budd completed seven scores topped by Get Carter and followed by the western Catlow, WW1 drama Zeppelin and comedy The Magnificent Seven Deadly Sins, the latter three all featured on this release. Also included on the album is Concerto For Harry, a piece from the 1976 drama Something To Hide, Budd’s homage to the great concertos of Liszt, Rachmaninov and Tchaikovsky. The piece highlights Budd’s excellent piano playing and is accompanied by The Royal Philharmonic Orchestra.